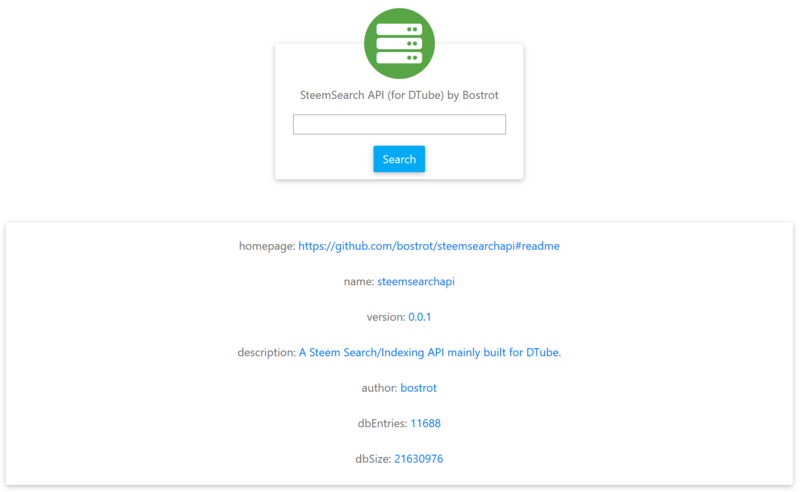 A Steem Search/Indexing API mainly built for DTube. 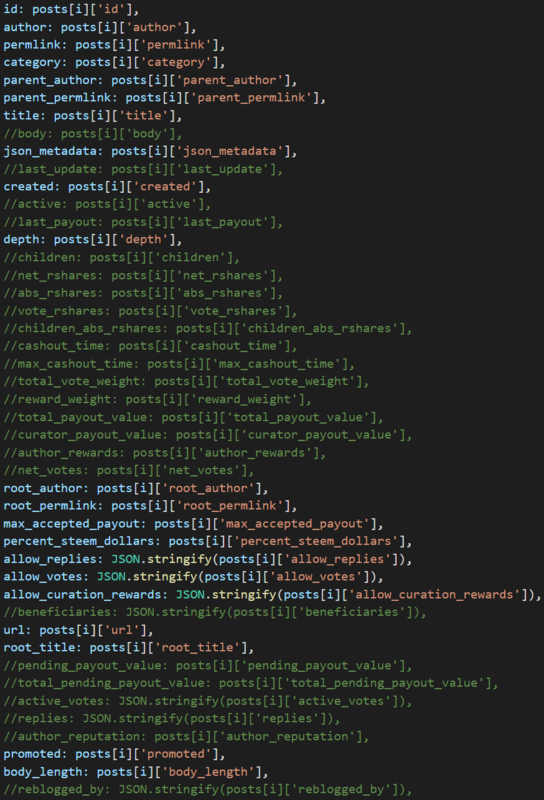 Where the keyword 'test' is being searched in the whole json_metadata key. You can search for videohashes, permlinks, author, description and so on. It indexes new posts every minute and once a day every post from every author. This data is written into a SQLite DB. A cleanup of dead videos was intended but removed for now. All posts that do not have a videohash key will be ignored and deleted. Check whether the video up checker works. If not make it working. As it uses a SQLite Database there are some limitations: json_metadata and every other key is returned as an escaped string.